One of This Is Us' main characters will not return as a series regular in the upcoming fourth season. 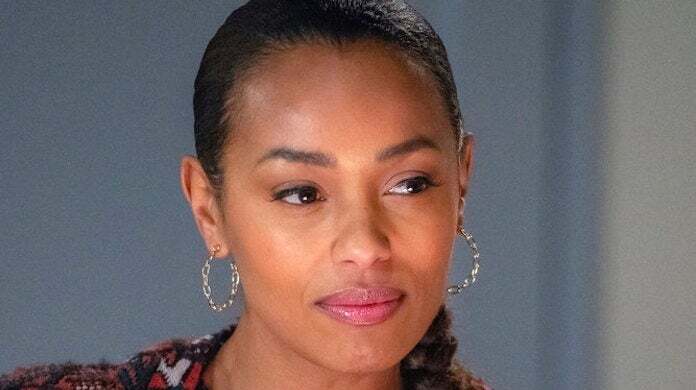 Melanie Liburd, who played Kevin Pearson's (Justin Hartley) girlfriend and Beth's (Susan Kelechi Watson) cousin since the Season 2 finale, will not be returning full-time to the NBC drama series for its still unofficial fourth season. The Season 3 finale saw Kevin and Zoe come to the decision to end their relationship after she realized that Kevin only agreed to stay with her after her "no kids" ultimatum, because he thought she would eventually change her mind. In the final moments of the finale, when it was revealed that Rebecca is in some sort of catatonic state in the future timeline, the Pearsons gathered at Kevin's home and it was revealed he has at least one son. Following the breakup in the present timeline, Kevin arrives at Kate's (Chrissy Metz) home, who is celebrating with Toby (Chris Sullivan) and Rebecca (Mandy Moore) that her son can finally come home, and announces that he is moving to Los Angeles "indefinitely" to be closer to them. Executive producer Isaac Aptaker broke the news of Liburd's exit to TVLine after the finale, explaining that it would not be fair for the actress to remain a series regular given the direction in which Kevin's storyline was headed. "We don't want to hold on to her and then not have the real estate for her," he said. "She's an amazing actress and she has a ton of opportunities... We don't want to stop her from [getting another full-time gig]." Despite the news, Aptaker did not shut down the possibility we will see Zoe again. "Whenever there are opportunities for Zoe to come back — which [would be] pretty organic because she touches on Kevin's life as well as, of course, Beth and Randall's life — we're eager to have her back... We love Melanie so much. She's a friend of the show and she did an amazing job for us; we love her both as an actor and as a person." Executive producer Elizabeth Berger also told the outlet: "She is a Pearson family member and we love her, so I think it's safe to say you will be seeing her again." The series is no stranger to bringing back ghosts of the Big Three's past. The series welcomed back Kevin's ex-wife Sophie (Alexandra Breckenridge) in an earlier episode when she announced she was engaged to someone new. Will you miss Zoe? And who will be Kevin's new love interest? This Is Us has not been officially renewed for Season 4, though it is a given it will return in fall 2019.